VATICAN CITY (CNS) — When Pope Francis visits Panama for World Youth Day in January, he will meet with young people not able to attend the festivities: some in jail and with some living with HIV. 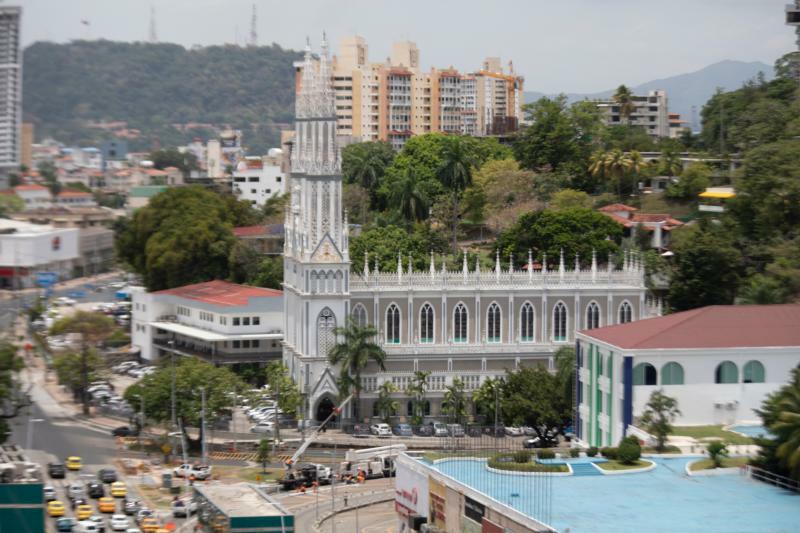 He also will dedicate the altar of Panama’s newly renovated 400-year-old cathedral, meet with bishops from Central America and have lunch with some of the young people attending the youth day gathering, according to the schedule released by the Vatican Nov. 20. The pope’s visit to Panama Jan. 23-27 will be his 26th trip outside of Italy. During his visit, he will deliver seven speeches and celebrate two Masses as well as a penitential liturgy. The pope’s meeting with young people who will be unable to take part in the activities is a response to the Gospel’s call to clothe the naked, visit the sick and comfort the imprisoned, the organizing committee said in a Nov. 20 statement. Archbishop Jose Domingo Ulloa Mendieta of Panama said Pope Francis’ meeting with young detainees will be “a very special event” in which “young people deprived of freedom will take part in a penitential liturgy with the Holy Father in an act of repentance, reconciliation and forgiveness,” the committee said. The pope will also pray the Angelus there with young people from the Malambo hospice, which helps people addicted to drugs and alcohol, and from Hogar San Jose, a house for the poor run by the Missionaries of Charity and the Kkottongnae religious congregation. — 9:35 a.m. (3:35 a.m.) Departure from Rome’s Fiumicino Airport. — 4:30 p.m. Arrival at Tocumen International Airport in Panama. — 4:50 p.m. Transfer to the apostolic nunciature. — 9:45 a.m. Welcoming ceremony at Palacio de las Garzas presidential palace. — 10 a.m. Courtesy visit with Panamanian President Juan Carlos Varela at Palacio de las Garzas. — 10:40 a.m. Meeting with government authorities and the diplomatic corps at Bolivar Palace. Speech by pope. — 11:15 a.m. Meeting with Central American bishops in the Church of St. Francis of Assisi. Speech by pope. — 5:30 p.m. Welcoming ceremony and gathering with young people in Santa Maria la Antigua Field. Speech by pope. — 10:30 a.m. Penitential liturgy with juvenile delinquents in Las Garzas de Pacora Juvenile Detention Center in Pacora. Homily by pope. — 11:50 a.m. Transfer by helicopter to the apostolic nunciature. — 5:30 p.m. Way of the Cross with young people in Santa Maria la Antigua Field. Speech by pope. — 9:15 a.m. Mass and dedication of the altar of the Cathedral Basilica of St. Mary with priests, men and women religious and lay movements. Homily by pope. — 6:30 p.m. Prayer vigil with young people at St. John Paul II Field. Speech by pope. — 8:00 a.m. Mass at St. John Paul II Field to mark World Youth Day. Homily by pope. — 10:45 a.m. Visit to Casa Hogar el Buen Samaritano (Good Samaritan Home). Speech and Angelus by pope. — 4:30 p.m. Meeting with World Youth Day volunteers, the local organizing committee and benefactors at Rommel Fernandez Stadium. Speech by pope. — 6:00 p.m. Farewell ceremony at Tocumen International Airport. — 6:15 p.m. Departure from Tocumen International Airport. — 11:50 a.m. (5:50 a.m.) Arrival at Rome’s Ciampino Airport.